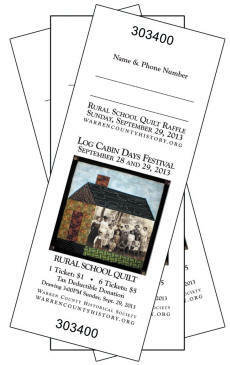 The idea of the photo quilt as a raffle for LCF 2013 was Eileen Lenninger's, owner of The Stitching Place. She graciously offered to donate fabric and supplies at cost AND to design the quilt on her fancy software. You don't have to be a sewer to enjoy Eileen's shop - she also makes buttons out of pottery and necklace pendants out of something shiny. 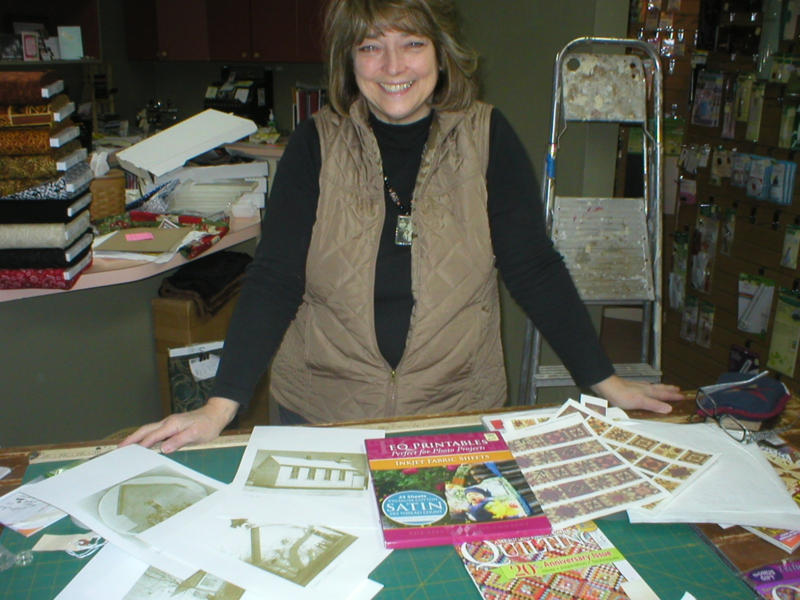 Carol Mahr is heading up the group from the Warren County Piecemakers Quilt Guild that will produce the quilt blocks. 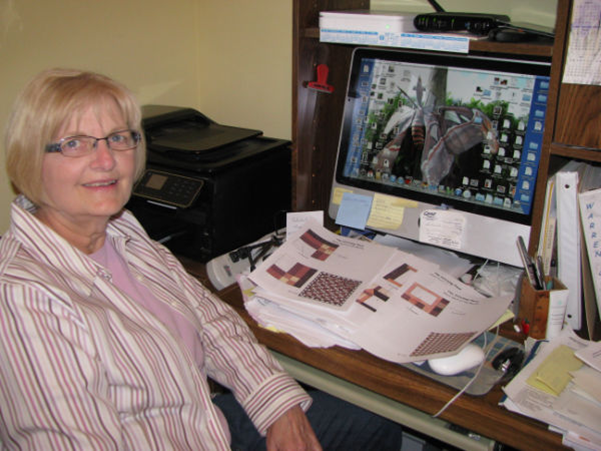 Those working on the project besides Carol are Nancy DeLay, Wanda Bonnes, Rosie Hulet, Linn Smith, and Elaine Lowe. Gwen Roen will be finishing the quilt. Please visit our Online Photo Album for more photos of the making of the Quilt. We are now selling raffle tickets at our Museum and other places. The price is $1.00 each or 6 for $5. If you prefer to buy online, use the button below to order them. This will let you buy $5.00 worth or multiple of $5.00 ie if you choose qty 2, this would be $10.00 worth. We will be sure your tickets get in the drawing!